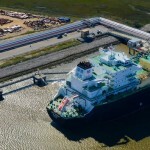 The Far East, which imports more liquefied natural gas than any other region of the world, is preparing to receive its first supplies from America’s shale bounty. 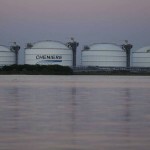 A tanker that loaded liquefied natural gas at Cheniere Energy Inc.’s export terminal in Louisiana is bound for the Far East, according to an official at tanker owner Maran Gas Maritime Inc. who asked not to be identified because he isn’t authorized by the company to speak on the record. 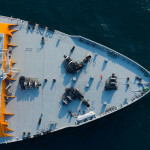 The company that chartered the vessel, Royal Dutch Shell Plc, has yet to say exactly which country and buyer will receive the cargo, he said. The shipment to East Asia is a long time coming for a market once pegged as the most likely destination for U.S. shale gas. Instead, most of the cargoes that have left Cheniere’s LNG terminal since exports began in February have landed in closer-by Latin America. 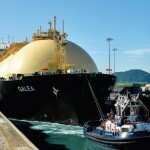 An expansion of the Panama Canal stands to change that, with more than half of U.S. LNG export capacity slated to be online by 2020 contracted to Asian buyers, based on a Bloomberg New Energy Finance analysis. The Asia-bound tanker, Maran Gas Apollonia, was in the Pacific Ocean on Wednesday after becoming the first LNG carrier to pass through the newly expanded Panama Canal locks, shipping data compiled by Bloomberg show. Shell spokeswoman Natalie Mazey declined to comment, while Cheniere didn’t immediately respond to a request seeking comment. 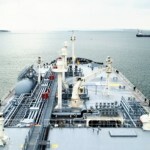 Demand in Asia may have as many as 550 LNG tankers a year passing through the Panama Canal from the U.S. Gulf Coast by 2021 as the recent expansion cuts shipping times and costs, according to the U.S. Energy Information Administration. Of the tankers that have left Cheniere’s Sabine Pass terminal, more than half have gone to South America, including Brazil, Argentina and Chile. The only cargo to have landed in Asia went to India. Dubai, Kuwait and Spain have also received shipments. 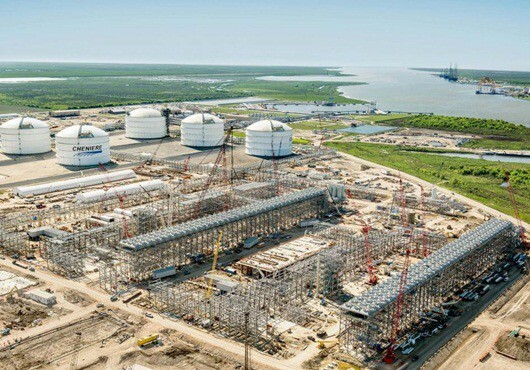 Cheniere’s marketing unit has contracts to supply gas from the company’s first liquefaction plant to Japan’s Kansai Electric Power Co. and Chubu Electric Power Co., according to Poten & Partners.